So, if you’ve been following our tweets, then you know that today was the Orange County BrewHaHa beer festival in Irvine, California. The BeerSoaked guys were in attendance and were far too busy drinking craft beer and meeting with cool folks to “live blog” during the event. So we’re posting after the fact. Better Nate than lever. We met up outside the venue and got in line for our VIP Will Call tickets at 11am. Next we stopped off at the OC Beer Society booth outside the venue to drop off our bottles for Beer Geek Island. There was a bit of confusion due to the fact that no one in front of us had actually printed out the form that was required in order to participate. They had no extra forms in the OC Beer Society booth either. 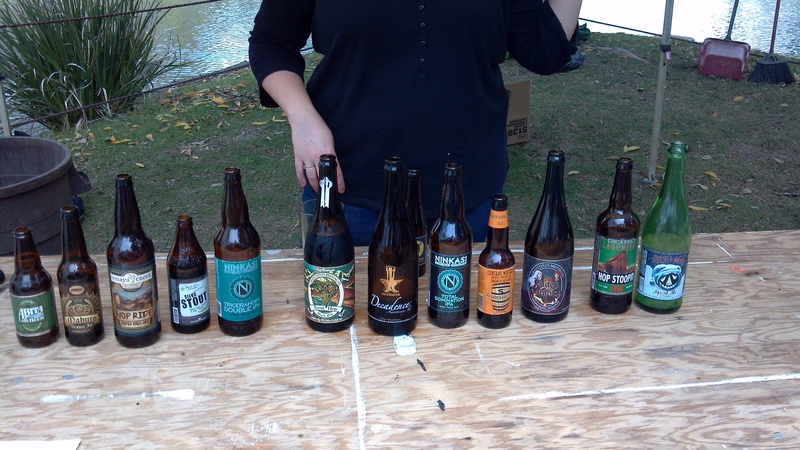 Luckily the Beer Soaked crew was prepared and brought our completed form with our beers. So once we made our way to the front of the line we dropped off our bottles for the island: 2007 Christmas Ale Magnum (Anchor Brewing), Hop Stoopid (Lagunitas), Davy Brown Ale (Figueroa Mountain Brewing), and Jubilee Ale (Island Brewing). Once we got our wristbands and tickets walked into the festival. After we made our way into the venue we decided to take a quick walk around to plan our attack and see who was where. The two breweries that we were really looking forward to were Dogfish Head and Russian River Brewing. It wasn’t too far into our walk around the premises that we decided we should grab a brew while we walked around. Scott and Bryan went straight to the Craft booth and grabbed a stout. I went a couple booths down to the Beachwood Brewing booth and tried their Black Ale. Beers in hand we strolled around the park. As it turns out neither Dogfish Head nor Russian River had a booth at the event. [EDIT: I found out later that Dogfish Head was secretly being poured from the back of the 30 foot fire engine behind the main stage for those who found it. I thought it was just a line to look at the truck, silly me.] But our disappointment only lasted for a moment as we were more than pleased with the rest of the vendors showcasing their beers at the festival. One thing I thought was interesting was that the brewers were not pouring their beers. The taps were run by the volunteers, some of whom knew very little about what they were pouring. Many booths had brewery reps inside answering questions or handing out business cards, stickers, etc., but not all of them. We made our way to the food corral where all the food trucks and food booths were setup and decided on the Sausage King for lunch. They had a couple BBQs going and the food looked and smelled great, so we got in line and ordered up a few polish dogs with everything. It was pure heaven on a plate. (Actually, they didn’t give us plates, but heaven on paper didn’t sound quite right.) We loaded up our dogs with the fixin’s and headed over to Beer Geek Island to check it out. Beer Geek Island was probably the highlight of the event for me. There were two tables setup with opened bottles lining them from end to end and coolers filled with even more unopened bottles. The island was centrally located, and the bridge was roped off for everyone who didn’t have the right wristband, so it really felt like you were a VIP. For me this is what made the Brewhaha more than just a food and drink festival, it was truly a place to hang out with folks who not only drink beer, but appreciate it. I looked up and down the tables and noticed that there were only a handful of beers that I had tasted before.The majority was stuff that I’d never tried or even heard of before. I looked for the 2007 Anchor that I brought and didn’t see it. Then Scott walked up behind me and said, “Wow, this is good!” I said, “Oh, which one did you pick?” And he said, “I didn’t pick it, it’s your magnum. There’s a guy walking around with it. You’d better hurry, it’s almost gone.” So I tracked down the guy and asked him if I could get a taste, he poured the last ounce into my glass, and said, “Looks like it’s gone.” I told him that I was glad I got to taste it since I’d been cellaring it for so long and wasn’t sure if it would hold up because that year Anchor didn’t put the ABV on the label so I had no idea if it would age or not. It aged quite well. The bands throughout the day were fun. The first band we heard played a bunch of cover tunes and sounded good on half of them. They managed their way through a medley of 80’s tunes and may not have had the vocal range for some of the tracks they chose. But they were fun and the crowd enjoyed their set. Since they were the opening act, perhaps we didn’t have enough drinks in us to cut them the slack they probably deserved. The next band we caught sounded like a Sublime rip-off band, but they were even better than Sublime. I enjoyed the reggae, and it seemed to fit in nicely with the afternoon vibe at the event. Finally, the bagpipes closed the show. The pipers walked the festival grounds playing music just before 3:00pm and eventually came to a stop just in front of the main stage. There, they circled up and played a few more tunes while onlookers raised their glasses and cheered them on. They even got an encore round of applause after they finished their set, so they came back and played another song. It was the perfect way to end the day. 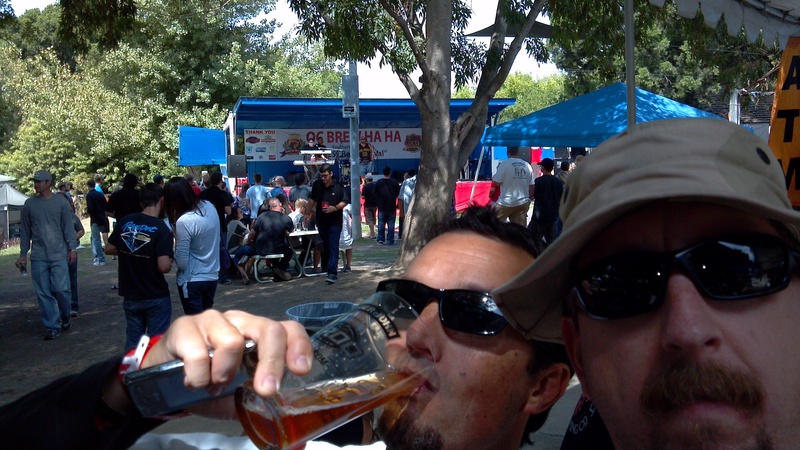 So did you go to the OC BrewHaHa this year? If so, what’d you think? Me? I think I’ll be there next year! 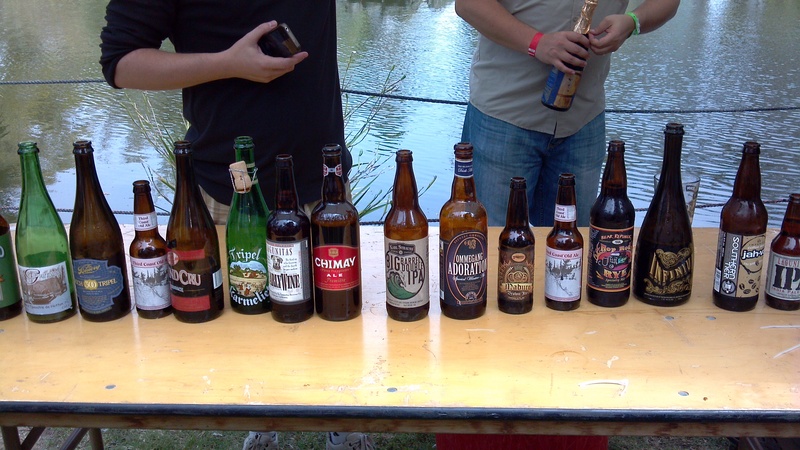 This entry was posted in Craft Brew, Events and tagged beer soaked, Brewhaha, craft beer, Event, Festival, OC by Erik. Bookmark the permalink. Great post, nice to see someone elses perspective! Cya next year!